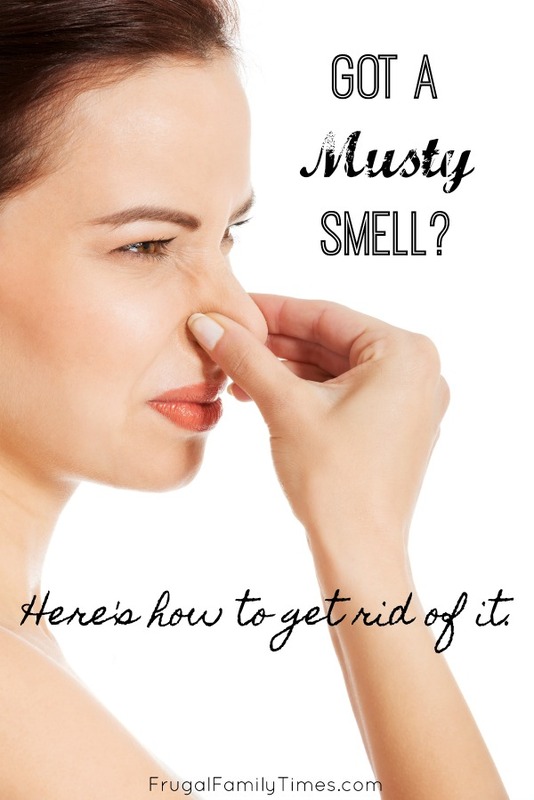 How do you get rid of musty smells in your basement (or cottage or cabin)? You know the one - it hits you when you step into a closed up space, and while you get nose-blind to it after a while, it slaps you in the nose every time you return. 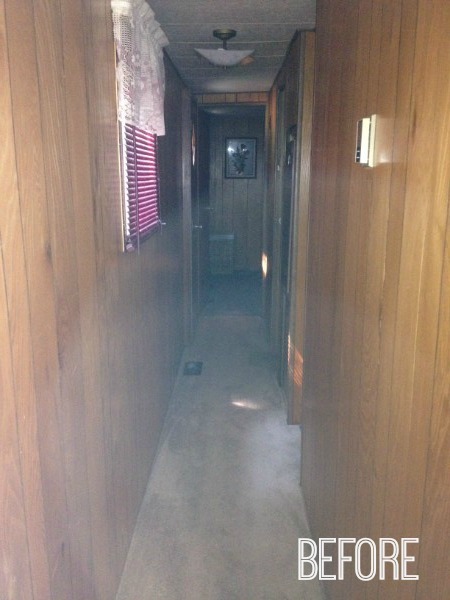 Our weekend place - our Mobile Home Makeover - suffers from musty smell disorder in a big way. It always had and we thought it always would. The musty odour was seeping into our foods and altering their taste. Ewwwww. It was coming home with us on our clothes. It was embarrassing when we had visitors. It was time to get aggressive to banish this awful odour. This musty smell was worrisome too. The cause of this terrible odour couldn't be healthy. This was the year I tackled the musty smell problem head-on - with lots of success! 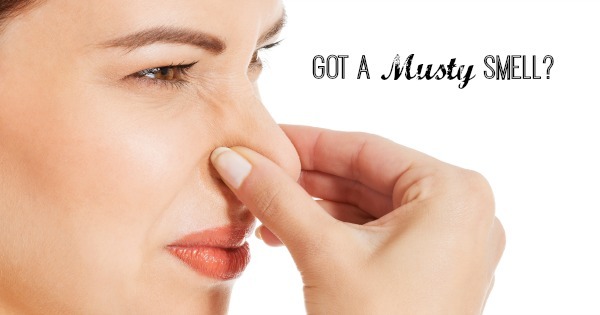 What causes the musty smell in basements and other places? You're not going to like this answer: it's likely mould and mildew. Closed, dark and damp places are the perfect location for moulds to thrive. It's probably not the first time you've heard this, but mould and mildew aren't exactly healthy. If you're smelling it, you're also breathing it in. 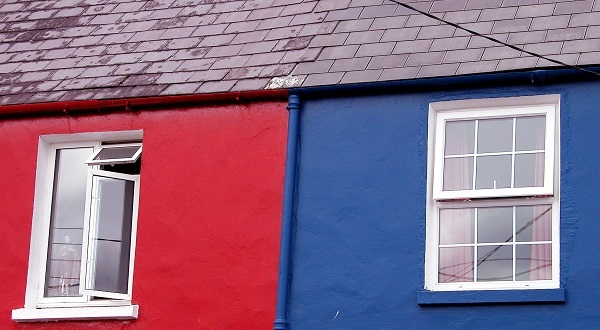 Find the source of your water leaks and moisture problems. Repair those the problems, if you can, or it will only get worse. You can't ever be rid of your musty smells without stopping the water from coming in. This is key. I knew running the dehumidifier was making a difference, but I didn't know just how much until our ancient one died. After 3 weeks of not running (and rainy weather) the smell had crept back in. At home, we have this one in our basement. We just bought this one refurbished for our weekend place, after our old one kicked it. Consider putting it in your bathtub! Why? Well, most dehumidifiers shut off when they're full. When you're away from your cottage or cabin, this can be a problem - you're not there to empty it. So we took out the water storage tub and set up the whole thing to drain directly into the bathtub. We just lift it out when someone wants to shower. If you have a humidifier or AC connected to your HVAC or a water softener unit, see you can piggyback on whatever drainage systems they have - anything so that you don't need to empty the reservoir. When the weather allows, open the windows and let that fresh air in. This isn't the thing to do on rainy days though - on those super humid days keep the windows closed if you can so more wet air doesn't invade. This one's so simple! We ordered these and they work so well. We have them in all the closets and the pantry. I'm ordering another set to put in the beds when we're away. About once a month, simply put them out in the sun to dry and reactivate. 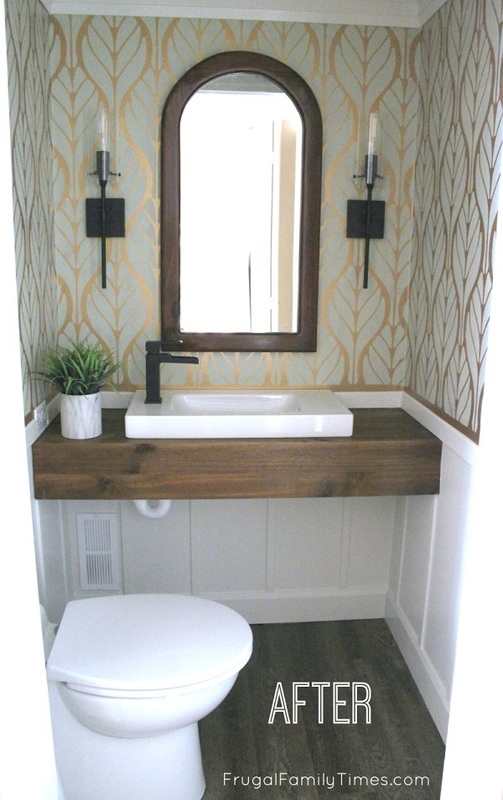 5) Add a bathroom exhaust fan. Installing a bathroom exhaust fan helps with other odours too, if you catch my drift. But getting humidity from steamy showers out quickly is important for mould prevention. The bathroom in our mobile home had a fan, but it was ancient and barely turned. It made no dent in the smells and moisture. Ed installed a new one in its' place and it makes a world of difference. The room was damp for days whenever someone had a hot shower. No longer! 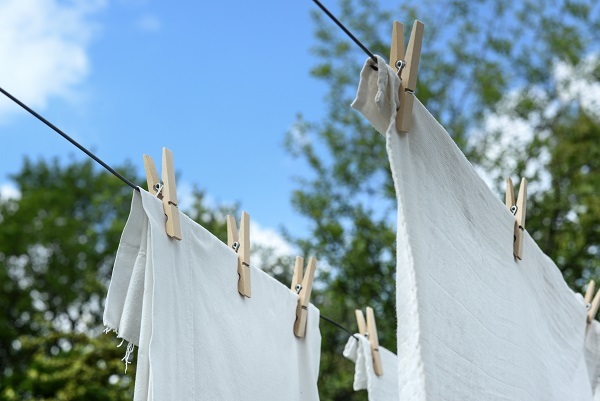 Just like a windy day will dry out laundry on the line - moving air from fans will help dry things out. Mould loves fabrics. When damp air gets into the dark folds of material moulds thrive. Go through your closets, cupboards and dressers and get rid of any fabric things you can. Pay special attention to old pillows and blankets and old clothing you don't wear. They are favourite places for moulds. Heavy draperies are a haven for moulds - banish them! 8) Don't store damp things in the space. Cottages often mean swimming. Swimming usually means wet towels. Wet towels are terrible for musty homes. If you can't get the towels dry before you leave your cottage, take them with you. You can dry them faster at home than a closed up cabin. 9) Get things into the sunshine. The sun is an AMAZING fabric refresher. On a dry sunny day, consider dragging some of your things outside. We've put our mattresses and sofa cushions outside in the sun and smelled great results! Be sure to prop them somewhere dry - not the ground. We use chairs and picnic tables with great result. Even if you don't have a cat, kitty litter can be helpful. Its regular job is to absorb moisture and odours from cats, but it can do the same job in homes. We put takeout containers of kitty litter under beds and in closets. Change the kitty litter when it gets damp or doesn't seem to be working. As soon as we pulled out all the carpets in the mobile home the air cleared a ton. Our first reason to rip out the old carpets was aesthetic - they were ugly. The mobile home had about six different styles of truly, terrible looking flooring. 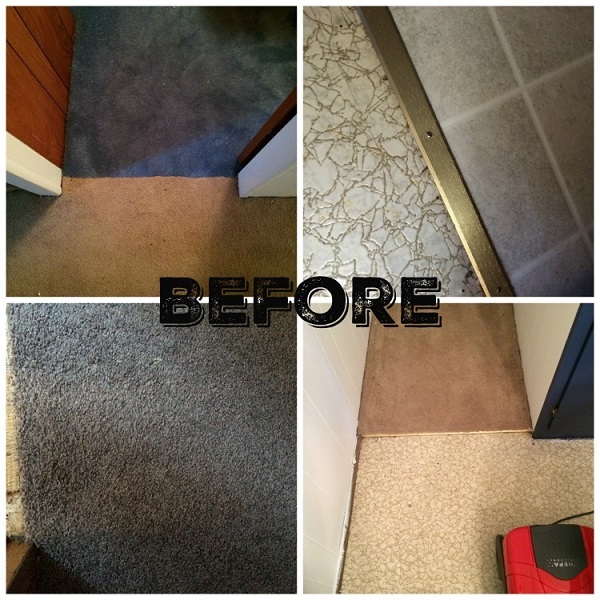 We made the place look bigger and better with this new affordable flooring. The new floor looks fabulous and it's not going to hold bad odours either. So many styles of musty, ugly floors! Now the smell is so much better with our new affordable flooring - and they look amazing! Walls can hold bad smells. It was a lot of work, but we primed and painted every wall in the mobile home. It's so worth it! It looks bigger and updated - and smells fresher too. Blech - just looking at this old photo I smell the musty. This hallway not only smells better with paint and new floors - it looks great too! Check out the hallway makeover after here! Our Mobile Home Makeover has been FULL of unwelcome surprises. I hope you don't have this one too: MICE! If it's a problem be sure to check out our rodent proofing tips.